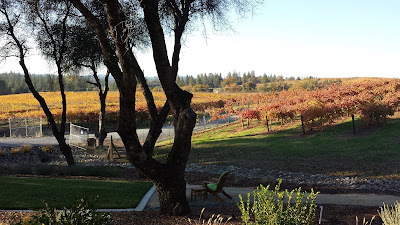 Daryl's Ponderings: Things Are Changing Here In Fair Play - Wine Country TODAY ! Things Are Changing Here In Fair Play - Wine Country TODAY ! I've been thinking: it has been awhile since I last updated things about Fair Play. I just looked in the blog archive and it was in 2014 that I wrote 3 posts about the Fair Play Wine history. Now things are different in three ways: here's the highlights. The first being beautiful wineries have opened. Sentivo Vineyards & Winery opened two summers ago (2016) at 7460 Fair Play Rd. ; right across the street from Mastroserio Winery. Their grounds are arranged into outdoor "rooms", or sitting areas in different spots outside the tasting room. The tasting room is majestic and modern. The large room envelopes you with warmth and the comfort of home. Their vines were planted years ago so Sentivo did not have to wait for the vines to produce grapes and catch up to the tasting room, they did it the other way around. The vines & grapes have been waiting for the tasting room. It's a family operation and the winemaker is their neighbor. The vines for both Sentivo and their winemaker share the same hills in Fair Play. E16 is in the old Winery By The Creek spot (corner of Perry Creek Rd. & Fair Play Rd. - just past the Pub at Fair Play); which moved to the Charles B. Mitchell property. Firefall is the original E16. Their vineyard is up Grizzly Flat and E16 uses the Zinfandel and Syrah grapes from there. Firefall closed the tasting room on Mt. Aukum Rd. several years ago, because they had young children and Robert and his wife both had other jobs and doing the vineyard, winery and tasting room: well it was a little much while raising two small children. Robert is back with E16; named in honor of his start in the wine business. Today he uses the Firefall grapes, but has his Pinot Noirs and Chardonnays produced in the Alexander Valley and Russian River Valley areas. The Pinot Noir grape requires a completely different terroir than the Fair Play Appellation offers. E16 Salon Tasting Room is quiet for a great wine experience of a lifetime. If you ever visited the other winery that was in this location, well you'll not believe your eyes. Robert, Robin and Mick have transformed it into a spectacular venue to enjoy great wine and great company. Mick has been in and out of Fair Play for over 25 years. When we visited E16 the first time he was standing at the end of the bar and pointed at us as we pointed at him and we all said "I know you". Mick was the manager at 7-UP Ranch B&B many years ago when Cindy & I traveled from SoCal while looking to buy property and we stayed there many a night. The right folks are in E16 for you to taste great wines and kibitz with great people. Right next to Sentivo Winery is another gem that was transformed from the rough into a great, beautiful tasting room, Element 79. They are right across the street from MV. The new (been open about two months) tasting room is currently the only one that lets you be in the vineyards with just a very short and easy walk from the patio/deck. The tasting room decor is an exquisite mix of rustic and modern. 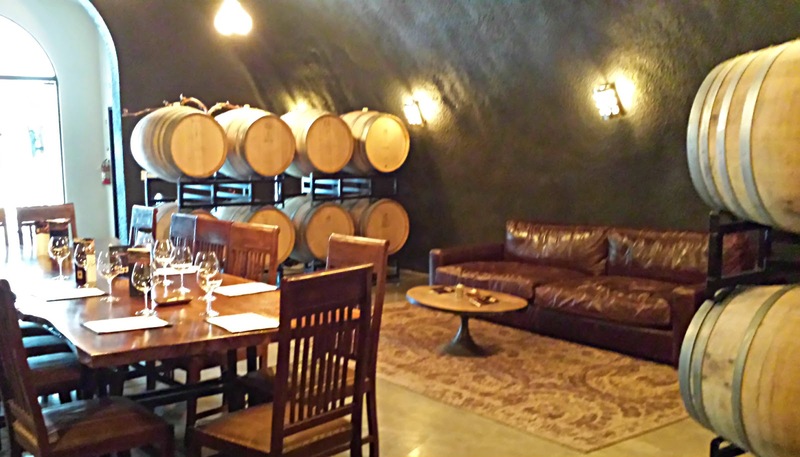 The ambiance for enjoying the flights of wine tastings make you comfortable and relaxed. 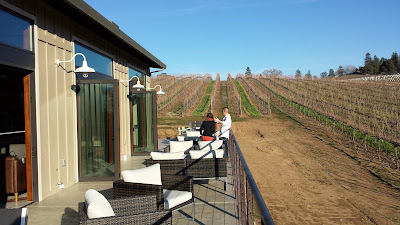 Element 79 deck, vineyard and tasting room. Cindy and I have been there a few times already and fell in love with it on our first visit. Their wines are quite delicious. One could easily go overboard when sitting on the deck with a couple flights of their tasteings, followed with a bottle of one of those just sampled. We know!! The second being; one of the wineries that had tastings by appointment only, Peter's Gate, has been sold. It was bought by a corporate structure that will use the grapes from Peter's Gate for the juice only. This conglomerate has bought or leased several pieces of property in and around Fair Play. None of us Fair Play folk, who normally think we are in the know, have a real clue as to what will happen with that enterprise. 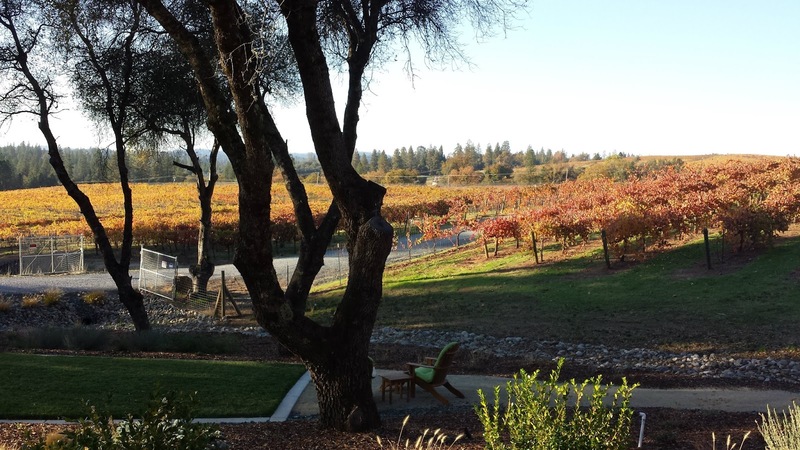 They bought the old Sierra Oaks Vineyards. Reality is we still don't know. Our rumor mill here in Fair Play, grinds out stories about what to expect from the conglomerate on a weekly basis, all proven to be false so far. A sad thing is a the third point ; dkcellars and Palissandro are no longer in business. The good news is the dkcellars property has been sold and Palissandro has been sold - a new winery and tasting room will be going in there sometime "soon".. Sad that we don't have our friends close by anymore. There will be other changes here Fair Play in the coming months and years. The vast majority of the wineries and businesses have been doing "Their Thing" for 15 -25 years and they started "Their Thing" when they were in their late 40's and early 50's. That means some, or many, will sell and retire to "real retirement". I just want you to know about what's on the horizon. Life is always changing and some of it for the good. I would appreciate your thoughts about what you just read. With your thoughts I can continue to make this a more engaging, informative read for you.